Most Western expats are aware of alternative treatments and therapies, such as acupuncture and reiki, but they may also be aware that these alternatives are not always viewed, by the medical community in their home country, as reliable or founded on robust evidence. With that in mind, what do expats need to know about the role alternative medicines, treatments and therapies play in healthcare in China and Thailand? Do they differ from Westernized versions, and how are they accessed? Thailand’s Universal Coverage Scheme (UCS) is tax-funded and provides healthcare coverage to all Thai citizens who are not covered by another public health protection scheme, meaning that they can obtain health services without suffering financial hardship. It also provides inpatient, outpatient, and emergency healthcare. Expats are not eligible for public health care in Thailand. Unfortunately, “stateless people” – including legal migrants, displaced persons, international tourists, and expats – are unable to register for the UCS. Expats can still make use of public healthcare services, but they may have to pay for treatment. As such, many expats opt for international health insurance to help cover these costs. Unlike Thailand, there is no system in place for Chinese citizens to receive free healthcare. However, substantial plans are in place to reform China’s healthcare system. The promotion of traditional Chinese medicine is protected by the Chinese constitution and is typically used alongside modern treatments. While Western-medicine hospitals are prevalent, doctors are likely to prescribe a combination of Chinese and Western medicine. Expats should expect to be prescribed a combination of alternative and Western treatments. For people from Western countries, alternative treatments offer an approach to healthcare that differs from common medical practices. However, expats moving to Thailand or China will find that they are not regarded in the same way here. Due to their Asian origins, these ‘alternative’ treatments are an established part of the healthcare system. Acupuncture is practiced widely in both China and Thailand alongside modern medicine. The technique involves inserting needles into skin, subcutaneous tissue, and muscles at specific points on the body. In traditional Chinese medicine, it is considered that there are 2,000 acupuncture points on the human body, that are connected by 12 main “meridians”. Meridians are believed to be a set of pathways that help energy flow through the body. Acupuncture is therefore believed to promote the flow of positive energy through the meridians, thus restoring health to the body and mind. Acupuncture can generally be accessed in hospitals, and facilities that specialize in alternative therapies. Acupuncture is used to treat a wide range of common ailments, as well as improving hormonal balance, reducing stress, and relieving pain caused by chronic headaches and arthritis. It is also believed to alleviate the symptoms of asthma, menstrual and digestive problems, and high blood pressure. This traditional Chinese therapy involves burning dried moxa (mugwort root) near or directly on the skin over the body’s meridians. The smouldering moxa is believed to enable the flow of positive energy in a similar way to acupuncture. It is thought to ease the pain of injury or arthritis, as well as protecting against colds and flu. Unlike acupuncture, moxibustion can be practiced at home. In fact, Chinese medical practitioners sometimes show patients how to use the moxa on themselves to enhance or maintain the effect of the treatment between appointments. Moxibustion treatments can also be accessed in Chinese hospitals as well as Thai and Western facilities that specialize in alternative therapies. For expats looking to relieve pain or reduce stress without needles or burning leaves, Thai Yoga Massage may be an option. This type of massage has similarities to Indian yoga. It is performed on a padded mat on the floor where a practitioner will manipulate the body into a series of yoga-inspired shapes and postures. Thought of as being more beneficial than regular massage, Thai Yoga Massage utilizes traditional healing techniques such as acupressure, compression, and joint mobilization. The treatment is practiced in a similar manner worldwide, usually at spas and other wellbeing facilities. Originating in Japan, Reiki is a natural relaxation technique used to reduce stress and promote healing. The practice focuses on the essence of energy and its ability to heal – the words ‘rei’ and ‘ki’ essentially translate to ‘spiritual life force energy.’ Despite developing since its creation by Mikao Usui in 1922, the original form of Usui Reiki remains the most widely practiced. Healers simply move their hands over the patient’s body, following the shapes of five traditional symbols. This is known as ‘attunement’. Each symbol encourages the flow of energy around the body to promote physical and mental healing. Considered most effective when used alongside other medicines, Reiki stimulates a healthier mindset, helping the body to heal ailments. Reiki attunement sessions usually last between 60 and 90 minutes and is typically performed in a spa, rather than hospital. 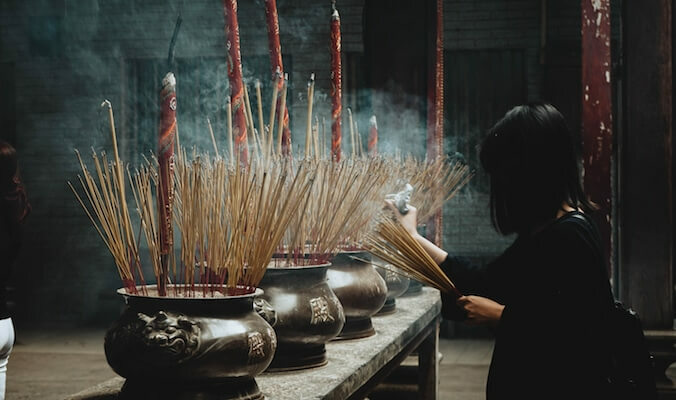 Rooted in Chinese medicine, it involves the use of breathing, meditation, and gentle movements in its effort to prevent disease and promote a longer life. Practiced for centuries, the health exercise of Qigong is believed to have derived from ancient dances. Focused on stretching the joints and muscles to help release tension, the movements of Qigong increase the flow of blood and stimulate the supply of energy to the body, leaving the recipient feeling relaxed and energized. The process is one of the Chinese medicinal methods thought to help with the treatment of arthritis. Classes are widely available in China and Thailand. Owing to the low impact of Tai Chi on the joints, it’s a great exercise for elderly people looking to increase mobility and improve their posture. Tai Chi is often considered to be a form of Qigong. It originated as a martial art in 13th-century China, and was adapted as a health-promoting exercise in the 19th century by Yang LuChan. It is thought to be one of the most effective methods of self-development and awareness, contributing to both physical and mental health. Not only can it be used to increase energy, strength and coordination, but it is believed to strengthen metabolic functions and the immune and cardiovascular systems. To minimise the risk of injury, it is best to learning from a well-trained instructor. Once familiar with Tai Chi postures and poses, books and videos are readily available for expats wishing to practice at home. Alternative treatments are widely available in China and Thailand, and are often prescribed alongside modern medical treatments. Expats looking to embrace the rich culture of their new home country can also use these remedies to help maintain their health and wellbeing.